The president would not go to Berlin to discuss Minsk political clauses. The Administration of the President sent to news agencies a comment on the upcoming Normandy Four meeting. As of October 11, Ukraine has not received a formal invitation to the Normandy Four summit, the press service of the Presidential Administration of Ukraine said in a release on 11 October. 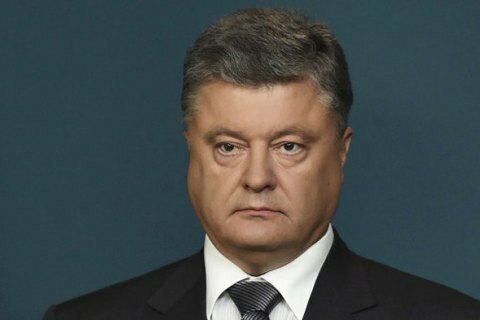 The release says that Ukrainian President Petro Poroshenko with German Chancellor Angela Merkel and French President Francois Hollande during the recent contacts have discussed various dates for the Berlin summit. "Ukraine supports the initiative of a meeting of leaders of Ukraine, Germany, France and Russia, where it would be possible to approve this document. Meanwhile, holding such an event solely to address a so-called political components of Minsk is unacceptable," reads the release. Any political decision can be taken only after demonstrable progress on security issues, the release concludes. Earlier in the day, German Chancellor Angela Merkel has reportedly invited the Presidents of Ukraine Petro Poroshenko, Russia's Vladimir Putin and Francois Hollande of France over for dinner in Berlin on 19 October. The political components of the Minsk agreements provide for the adoption of a permanent law on the special status of certain areas of Donetsk and Luhansk regions and the elections in these territories.